Fish are important in constructed wetland (CW) ecosystem. An 80-day experiment was conducted by exposing juvenile grass carp (Ctenopharyngodon idellus) to 0, 0.5, 2.0, 4.5, 9.0, and 18.0 mg L−1 total ammonia nitrogen (TAN) stress to determine the severity of physiological changes in fish organs (liver, gills, and muscle) in CW. Specific growth rate results indicated that low TAN (≤ 2.0 mg L−1) help maintain or enhance grass carp growth. 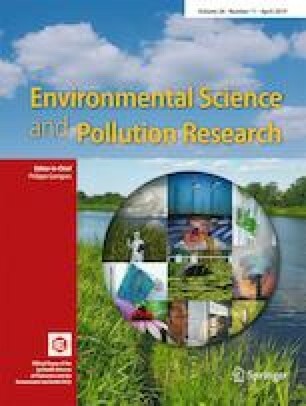 Fish physiological indexes did not significantly change during exposure, except for the gill’s reactive oxygen species (ROS) level that is susceptible to TAN exposure. Under high TAN (≥ 4.5 mg L−1), physiological changes and organ-specific responses were revealed. The ROS and malondialdehyde levels were higher in the gills than in the liver. At 9.0 mg L−1 TAN, the muscle cells manifested toxicity. The antioxidant system of different organs responded differently because the gills were more susceptible to low TAN than other organs. After TAN removal from the low TAN system, the antioxidative enzymes and antioxidants were increased to scavenge extra ROS and reverted to the normal level. However, grass carp cannot recover from the oxidative damage at ≥ 9.0 mg L−1 external TAN, resulting in organ dysfunction and failed ROS scavenging. This study provides information in maintaining CW sustainability. This work was supported by the Natural Science Foundation of Shandong Province (ZR2016DB13) and the National Natural Science Foundation of China (21307078).